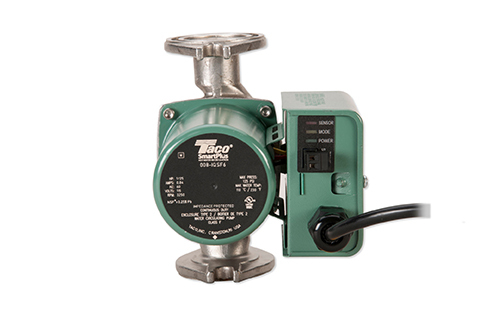 Taco Water Heating - Service Reps, Inc. The legacy of the 00®. The efficiency of ECM. If a 007 is all you need, why not step up to high efficiency? The Taco 007e is engineered with ECM variable speed technology. 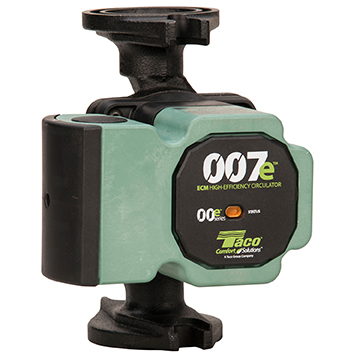 Its performance is equivalent to the legendary 007 yet it uses up to 85% less electricity, making it ideal for hydronic systems zoned with circulators or zone valves. Efficiency aside, the 007e delivers the reliability that’s made Taco famous. Install it, forget it.™ What’s more, the 007e has some great features you won’t find anywhere else. 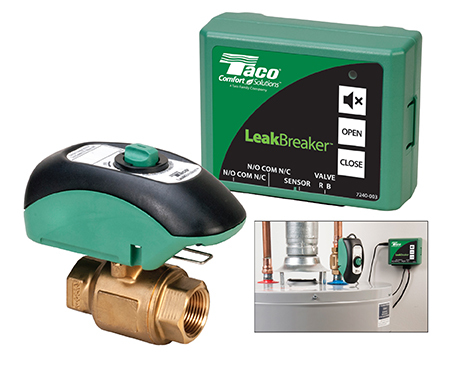 The Taco LeakBreaker™ is a water heater leak protection device that protects against flood damage from the containment failure of a water heater. It consists of a control unit, a valve with actuator and a sensor. 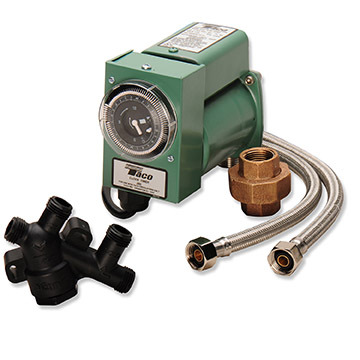 This resettable, testable protection device can be installed on any style water heater to shut off the incoming water supply, preventing additional water flow to a damaged water heater. 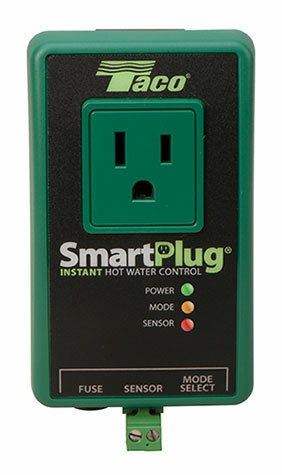 The two-color LED light and audible alarm lets you know the status of LeakBreaker at all times. Hot-Link® is a quick, easy retrofit using the existing plumbing. Mount the valve under the sink and the pump at the water heater. The valve’s unique thermal disk technology sends cooled water back to the water heater so hot water lines remain hot.